For my class this year, I decided to treat them to something different for the end of year farewell. I purchased a bucket of Smencil Pencils to give to each child. Smencils are pencils, made from recycled newspaper and scented in various flavours (Bubblegum, Cinnamon, Tropical Blast, Grape, Cotton Candy, Very Berry, Black Cherry, Orange, Watermelon and Rootbeer). I also ordered through Vistaprint some fridge magnets. 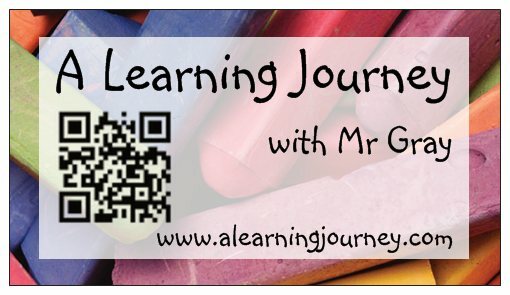 On these magnets, I had printed the name of our class blog, along with the URL and a QR-Code. I hope it will remind them of the great times we had in our class this year, and encourage them to continue to drop by and take a look or leave a comment for my new class.